Update: After playing around with our new iPhone 6 and 6 Plus over the last couple weeks, it occurred to me to see if my DIY stylus would work with these new devices. I'm happy to report that it does, just as expected. Now, the level of functionality you'll get out of it is debatable, but I'm definitely able to browse my iPhone while eating lunch without smudging my screen. (Yes, I'm a messy eater.) I've also put together some creative Snaps, as well as paint using apps like Brushes. Let us know what you used it for in the comments below. 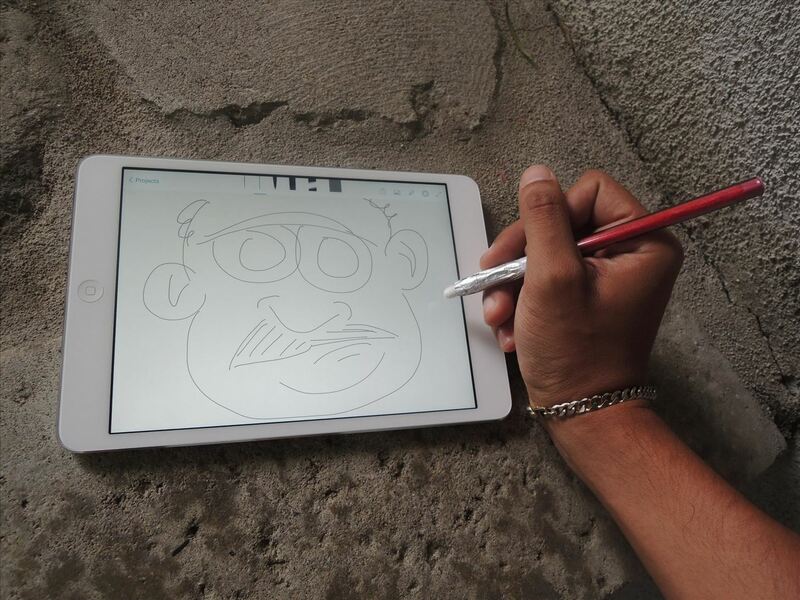 Earlier this year, Adobe released Ink and Slide, a stylus and drafting ruler package that lets artists and designers draw more accurately on their official Line and Sketch apps for iPad. While the accessories come with many features, including enhanced pressure sensitivity and automatic backups to your Creative Cloud account, they will set you back 200 dollars. There currently are no cheap alternatives to Adobe's Slide ruler, but there is a ton of cheap styli choices to choose from at Target, Best Buy, and other retailers. However, nothing is cheaper than zero, and there are plenty of no-cost DIY styli you can make using things you've got at home. 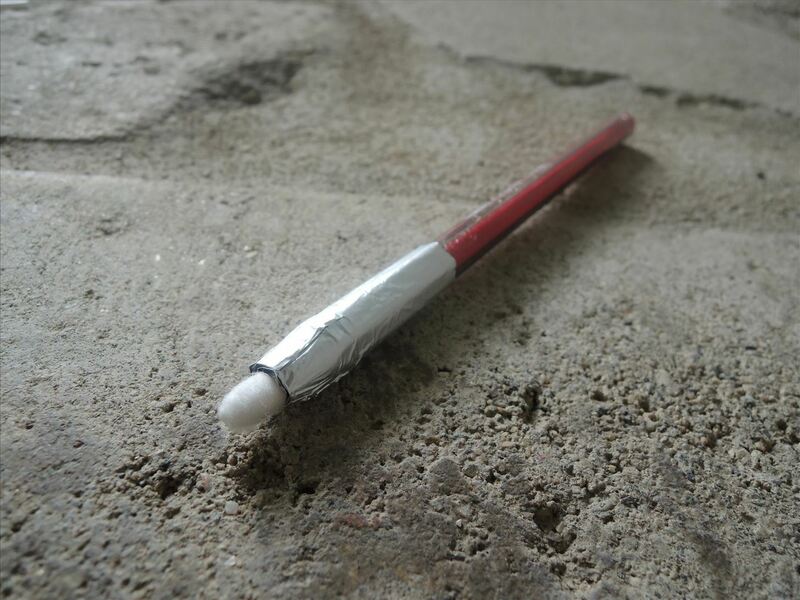 The simplest example is a wet cotton swab, but thanks to Instructables user DrewClem, there's a few mods we can make to give it a more sophisticated "pen" look. 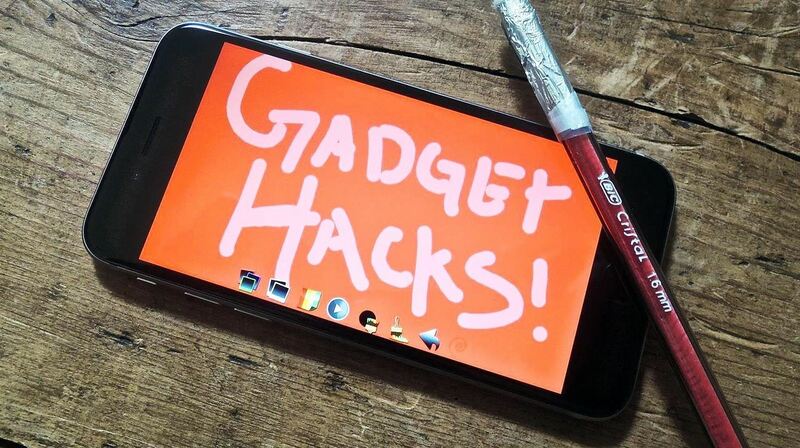 Follow along with me below to build your own homemade stylus pen that'll work in lieu of Adobe Ink. It'll also work with any app on any smartphone or tablet—not just Adobe's apps or the Apple iPad. Unscrew your pen and take out the ink tube. You're only going to need the transparent polystyrene barrel (pen tube) for this. While this isn't a necessary step, it does help in the looks department. 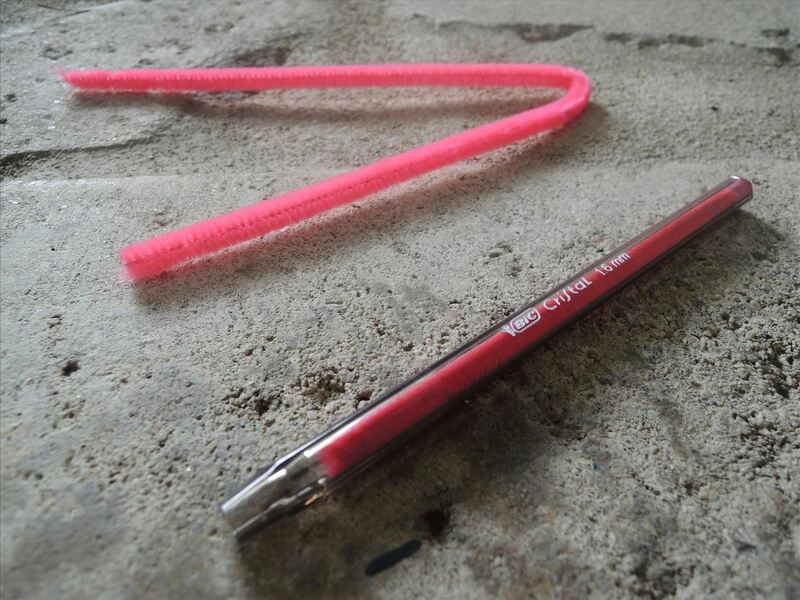 Grab the pipe cleaner (your color of choice), fold it slightly shorter than the length of the pen (cut it if it's too long), and stick it inside the pen tube. Cut off the end of the cotton swab to about 2 cm (somewhere between 3/4" and 13/16") and place that into the front tip of the pen. 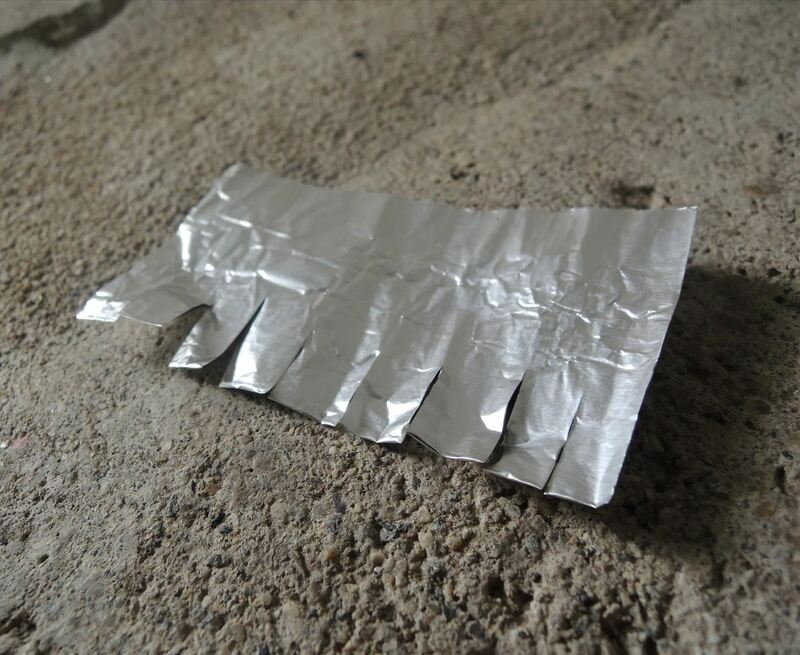 Cut a square of aluminum foil at a minimum of 6 cm x 6 cm (or about 2-3/8" on each side), fold it in half, and cut several short slits around one of the sides. You can also make the foil go all of the way up the pen if you want, but that would de-beautify our colorful pipe cleaner look. Wrap it around the end of the pen (slitted side toward cotton swab). 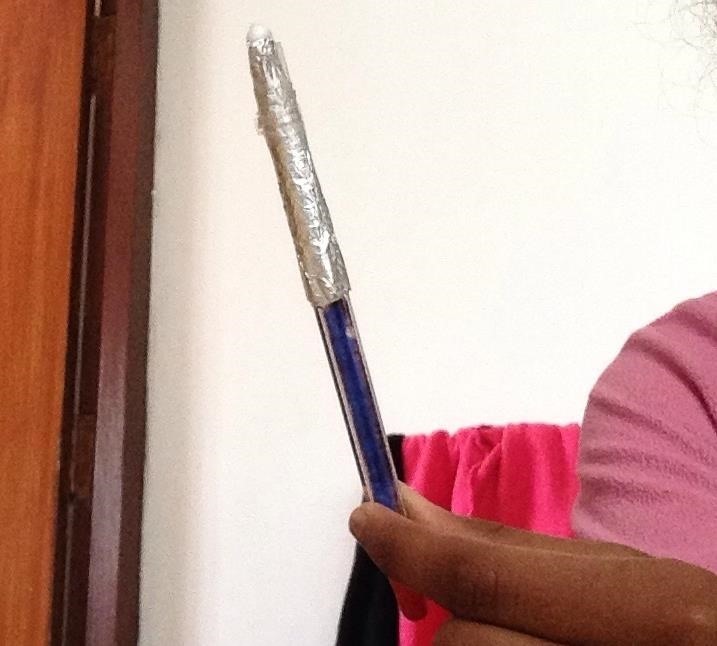 Make sure that the foil covers some of the cotton swab (not all), or else the stylus won't work. If the aluminum foil doesn't stay put, add a piece of Scotch tape around the bottom it to keep it in place. 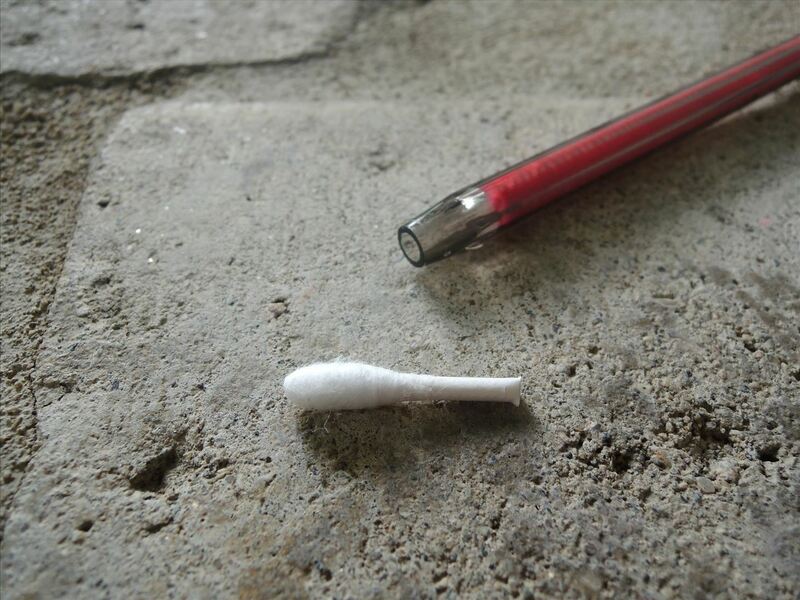 Add a small drop of water on the cotton swab. 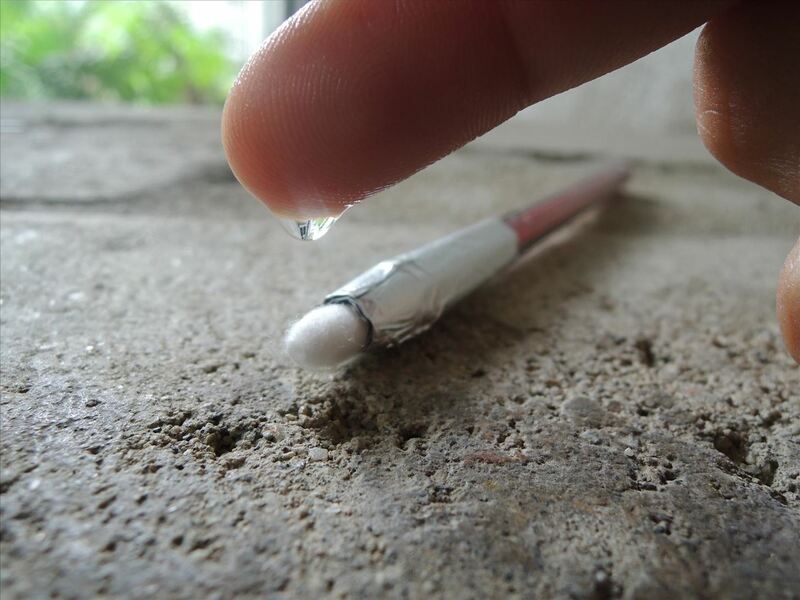 You might need to add a drop of water onto the end from time to time in order to re-energize it and keep it conductive. 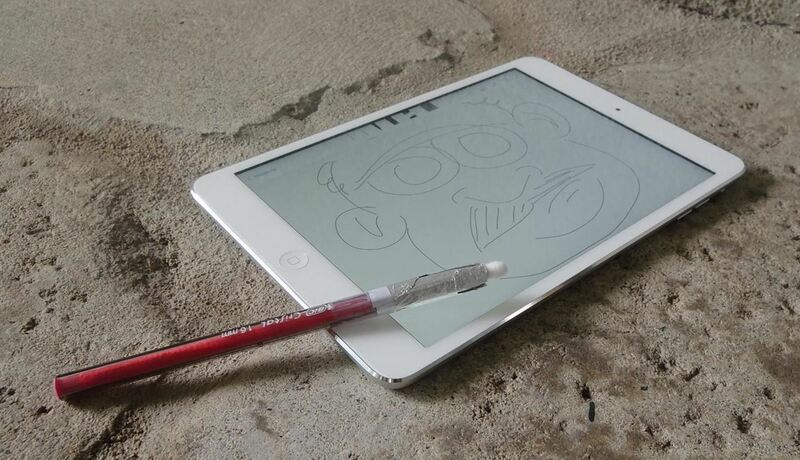 Now just test out your new DIY stylus using Adobe Sketch (seen below) or Adobe Line on your iPad. 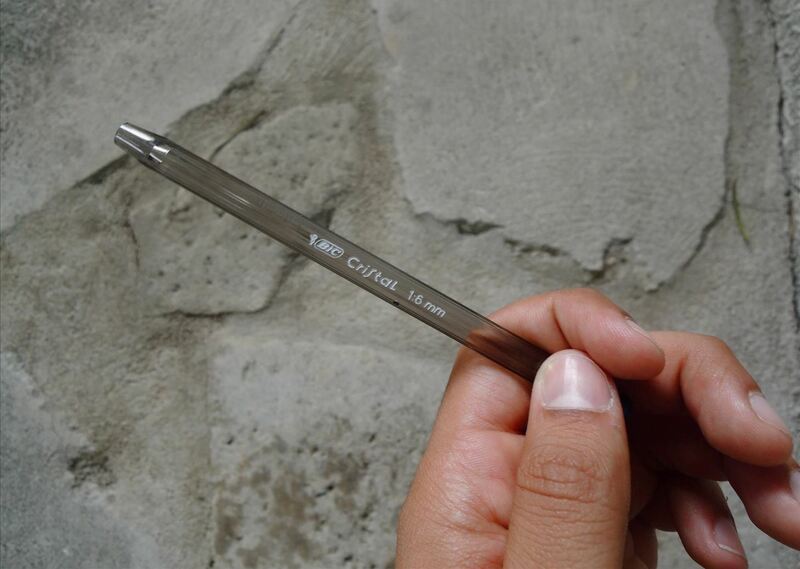 If you don't have those apps, you can also use this stylus for other apps, which is also a feature of the Adobe Ink, according to Jackie Dove over on The Next Web. 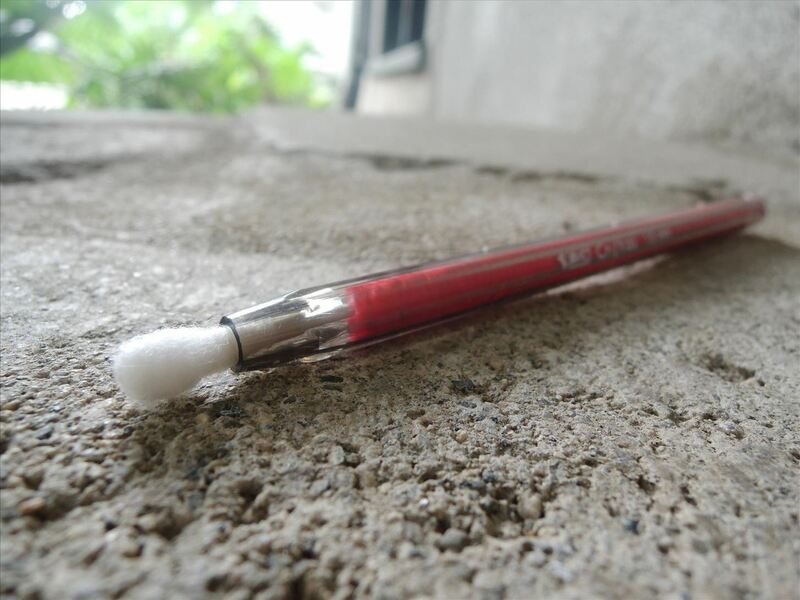 Obviously, our Q-Tip version will not have any pressure sensitivity, but it's a small sacrifice for the fair price of free. The first time I used the stylus, the iPad needed a second to recognize the it, so if it initially doesn't work for you, keep trying it for a few seconds. After that, you should be able to draw just fine. Just make sure your fingers or hand are touching the aluminum foil while you use it, because it won't work if you don't (it needs the static electricity in your body to work as a capacitive tool). Considering that I built the stylus from stuff laying around my apartment, this inexpensive trick definitely does a good job of duplicating some of the functionality of the Adobe Ink—and fairs well against any basic capacitive stylus out there on the market. 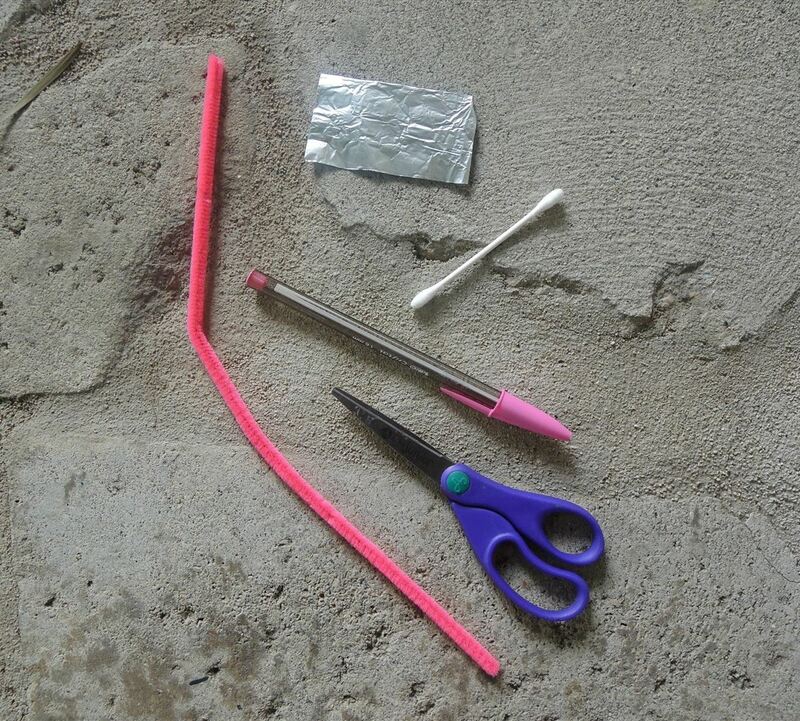 If you're not a fan of cotton swabs, there are plenty of other styluses you can make out of things you have at home, including everything from chopsticks to cigarettes. Check out this guide to see your other DIY options.